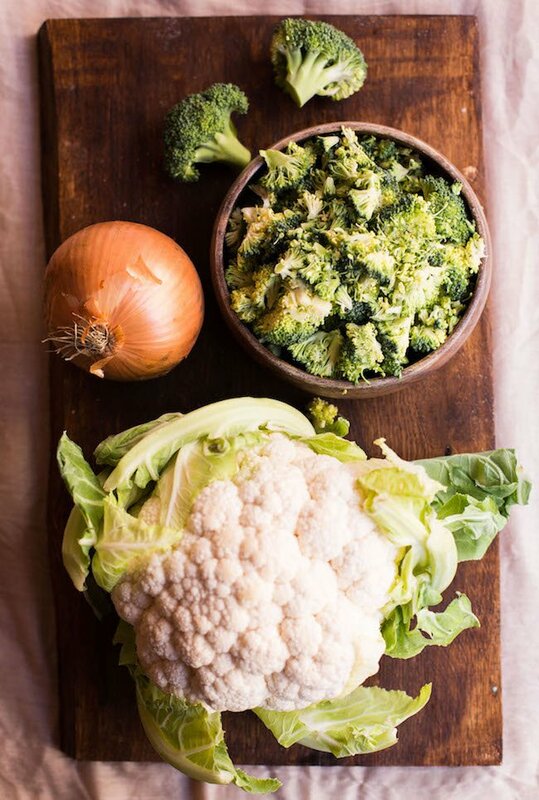 And what a fitting way to start the year than with a cauliflower rice casserole! So healthy. So tasty. So comforting. 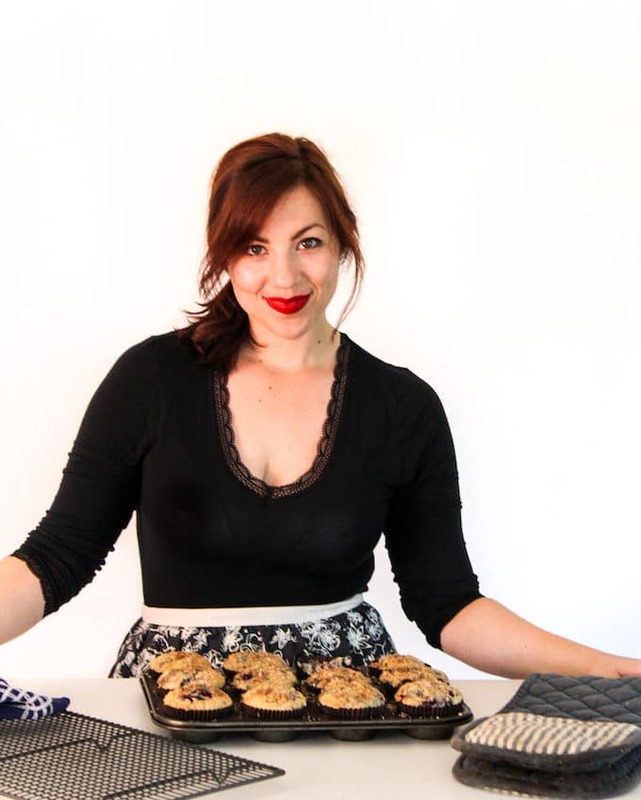 this past week I’ve been going back over all the stats that I’ve got here on A Saucy Kitchen to get a better idea of what people are really after so that I can better plan future recipes. If there’s one that was made abundantly clear about 2017 is that y’all are really into savoury, grain free/paleo friendly foods! Which is kind of perfect because so am I and remember that fact keeps me from going over board on all the baking…as fun as that may be. New month, new year, new reason to recommit to eating healthy again after all the holiday binging. I ate so much cookie dough last month. It was equal parts disgusting and glorious and I have precisely zero shame about that. That being said – I’m soooo ready to clean up my diet again. Making this casserole isn’t difficult, but keep in mind that it does involve dirty a few pots and and possibly a blender/food processor so keep that in mind as you go. I promise it’s worth it in the end! I’ve broken up the ingredients/method into smaller chunks to hopefully make it easier to follow and understand. Use leftover/pre-cooked chicken. This will save you a key step in making this casserole to save on time. Use pre-riced cauliflower. You can usually find this near the produce or frozen sections of your grocery store. If you have those two things prepped in advance making this casserole will take 40 minutes at most because the only thing you’ll need to really do is make the sauce. If you rice your own cauliflower and end up with extra just throw it in a ziplock bag and toss in the freezer. You can make cauliflower rice from frozen at a later time. Speaking of freezing – this does freeze/reheat well so if you end up with leftover casserole you can pack it away and pull out another day. It’s great for batch cooking/meal planning for busy schedules. I include tips for how to bake from frozen in the recipe card below. Here’s to a new and improved year! 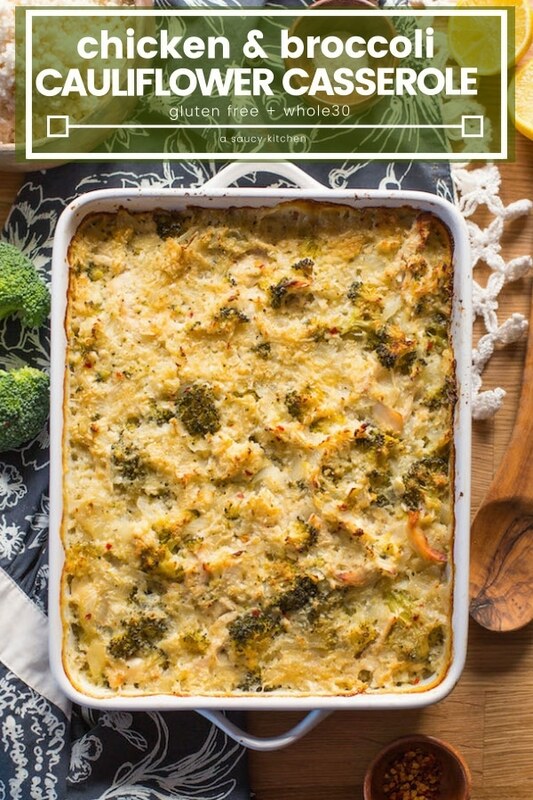 Don’t forget to #asaucykitchen on instagram if you try this Chicken & Broccoli Cauliflower Rice Casserole! I’d love to see what you make with it! You can also post your pictures to my facebook page! Lay the chicken breasts at the bottom of a medium sized sauce pan - make sure not to overlap the chicken so they cook evenly. Cover with at least 2 inches of cold water. Add the salt. Bring the chicken to a boil over a medium/heat and then cover and reduce down to a simmer. Let gently simmer for about 15 minutes to cook internally. Once done remove the chicken from the water and let cool a couple of minutes. You should be able to easily shred the chicken with a couple of forks at this point. While the chicken is cooking begin on the sauce. Add the olive oil to another medium sauce pan. Warm on a medium heat. When the oil is hot add the chopped onion and sauté for about 3 minutes until it begins to soften. Add the garlic and sauté another minute. In a small cup whisk together the almond milk and the tapioca flour/arrowroot until no lumps remain. Add the starch milk to the onions along with the chicken stock , nutritional yeast and lemon juice and stir. After a minute or two the mixture will thicken and become a bit goopy. Taste and season with salt - depending on the type of chicken stock you use may need more or less. Add the oregano and red chilli flakes if using and stir. Remove the pot from the heat and set aside until needed. Preheat the oven to 400°F/205°C and lightly grease a 9x13 inch casserole dish. 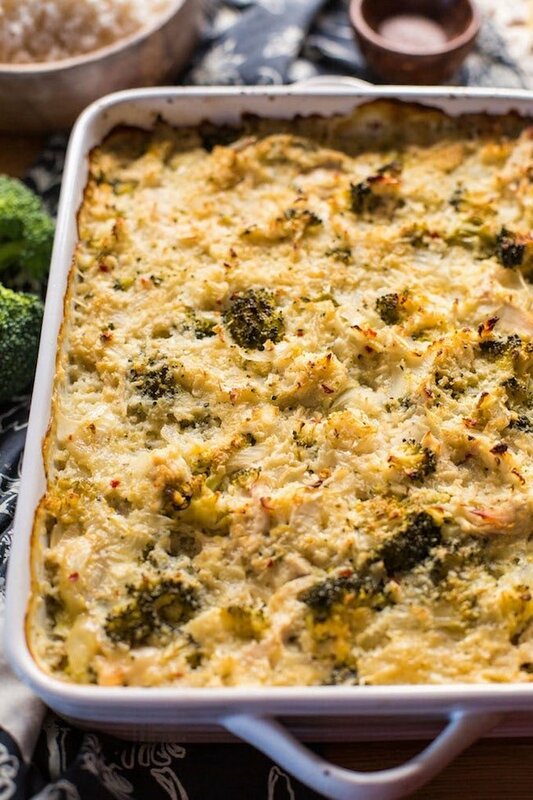 Add the cauliflower rice, chopped broccoli and shredded chicken to your casserole dish and toss together mixing well. Pour the sauce over the top of the veggies and mix again fully coating everything in sauce. When everything is completely coated in sauce spread out the casserole so it's in an even layer. When the oven is ready bake for 25-30 minutes. The top will be lightly golden and slightly bubbly. Let lest about 5 minutes before dishing out and enjoy! Use pre-riced cauliflower. You can usually find bag of cauliflower rice near the produce aisles and sometimes frozen sections of your grocery store. Mix in 3-4 tablespoons nutritional yeast (<--affiliate) into the sauce. Add it when you add the oregano & chilli flakes. This will give it a cheesy taste but keep it dairy free & whole30 friendly. Add grated cheese over the top of the casserole about half way through the cooking time. Not paleo but very tasty. Cook as you normally would and then freeze it. Click here for tips on how to freeze casseroles. When you're ready you can bake from frozen. Cover with foil and bake at 400°F/205°C for about 35-40 minutes or until completely warmed through. Very delicious! It takes time to make but was worth the effort. Thanks Pam! So glad you enjoyed it! Easy to make and delicious! I used a rotisserie chicken which made the recipe even more simple! So glad you liked it! Thanks for coming back to let me know what you thought! This looks awesome — I’m trying to convert to 21 Day Fix counts — how many servings would you say this provides? I was guessing 6 – but wanted to check if you had something. I made this exact to the recipe but with some cheese and also did a Chickpea version for me. Both were a big hit and would make both again!! The recipe goes really well with just a green salad and just olive oil balsamic vinegar, salt and pepper. Can never go wrong with adding a little cheese! Really glad you liked it – thanks so much for coming back to let me know what you thought! It was missing something, definitely more spices. My husband put tabasco and he loved it, said it was delicious. I will make it again but add something else to it to perk it up. Amazing photography! 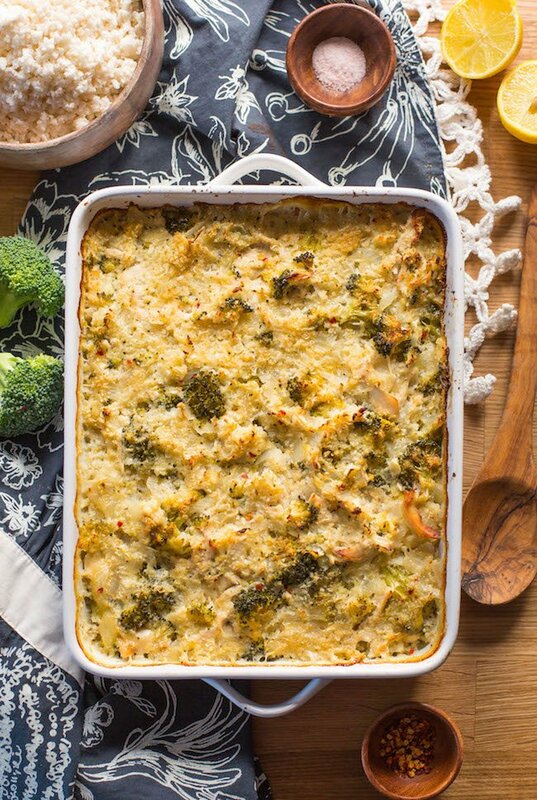 This casserole looks simply delicious and perfect for dinner!